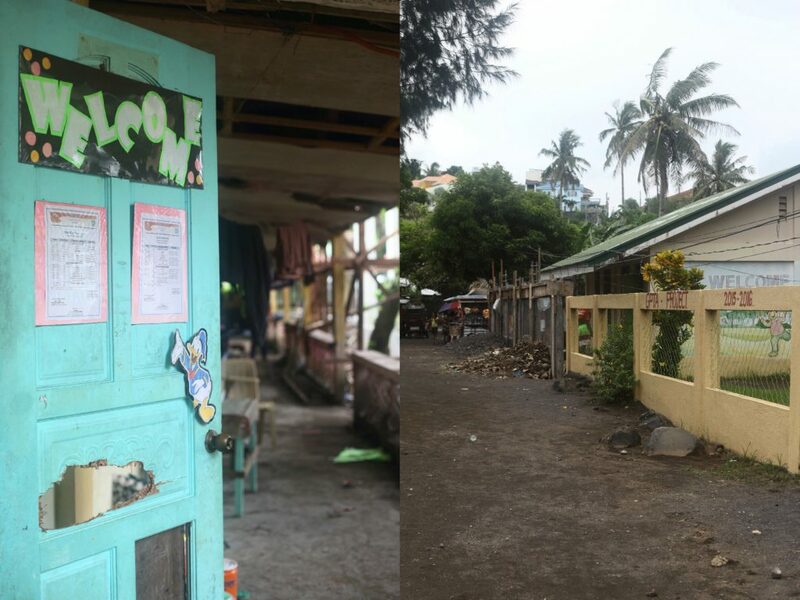 In our last post about our latest trip down to Legazpi, we mentioned briefly about introducing our prototype idea, CaseStudy (previously known as Classroom in a Box), to the Tiwala teachers. 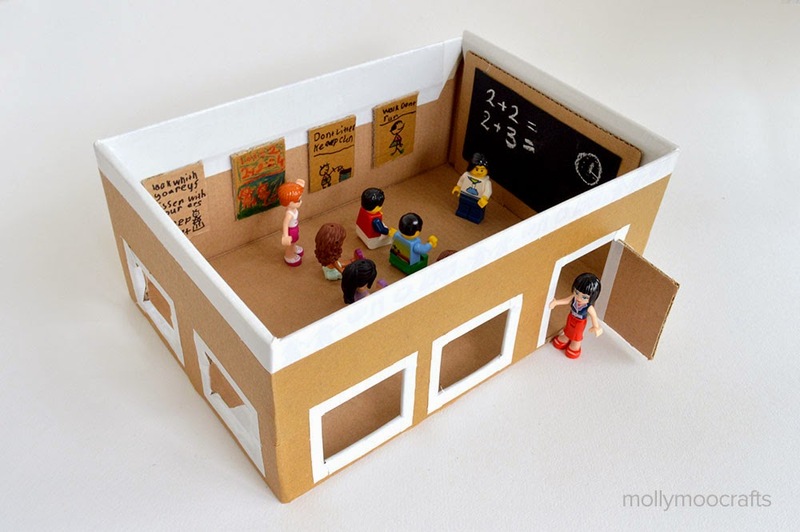 No, we didn’t really mean having a class in an actual box. CaseStudy is an idea that was conceived by our Chief Operating Officer because he wanted to explore something that could increase student engagement in challenging conditions while decreasing the number of logistics required and keeping the costs as low as possible. The idea is to have something that is easy to carry around and can withstand harsh situations such as lack of power supply, connectivity, and natural disasters. Think of a sturdy briefcase, fitted with elements that could turn any room into a classroom, even without a power supply. We believe that everyone deserves a chance at learning and they should not be denied a chance just because of the lack of suitable resources. With this goal in mind, it was a process to decide what should be included in the box that could best suit the needs of the communities. The box definitely needed a portable content carrier, something that is able to receive and broadcast educational materials, something like a computer. A laptop or tablet sounds ideal but they are also expensive and often, it’s one user per laptop/tablet. We needed something that could project the content to a large group of audience. We also needed to keep in mind that all these elements must still be able to operate even when there is a shortage of stable power supply. Through some researching and discussion, we discovered the Raspberry Pi and it answered almost every need we had. It is something like a mini version of the CPU of a computer, it is Linux-based and is fully programmable to the liking of its user, i.e Windows. The Raspberry Pi has storage capabilities and can hold a fair bit of information like PDFs, presentations, and videos. 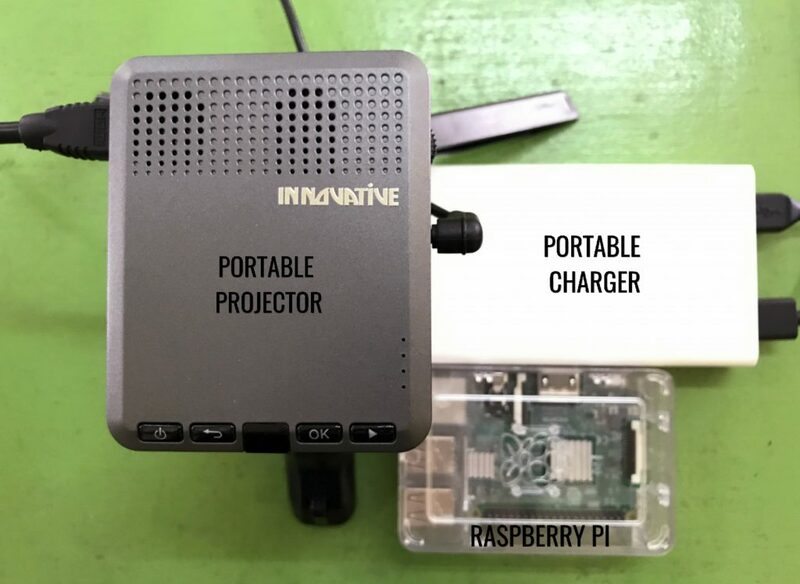 The Raspberry Pi can also be connected to a screen or projector via its own HDMI ports or a phone or tablet, answering our need to project the information to a larger group of audience. The Raspberry Pi is priced less than SGD $100 as compared to tablets which cost more than SGD $150. It can also be powered by a portable power bank, which means it does not have to rely on a power supply. Rick, who is in charge of all things technical at The Patatas, dabbled with the Raspberry Pi and figured out a straightforward way for the Tiwala teachers to load content into the Raspberry Pi. We also sourced for a portable projector, which has its own built-in battery and can be charged by a portable power bank too. Add in a pair of speakers into the mix and we have a classroom in a box that’s fully portable. 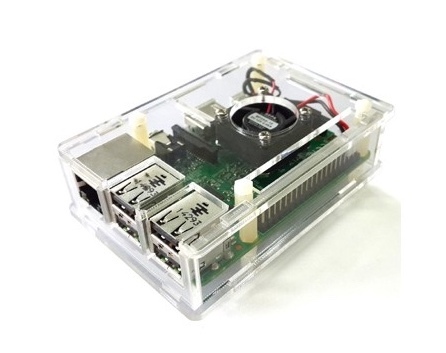 The contents in the Raspberry Pi are fully customizable according to the teachers and the needs of the audiences. 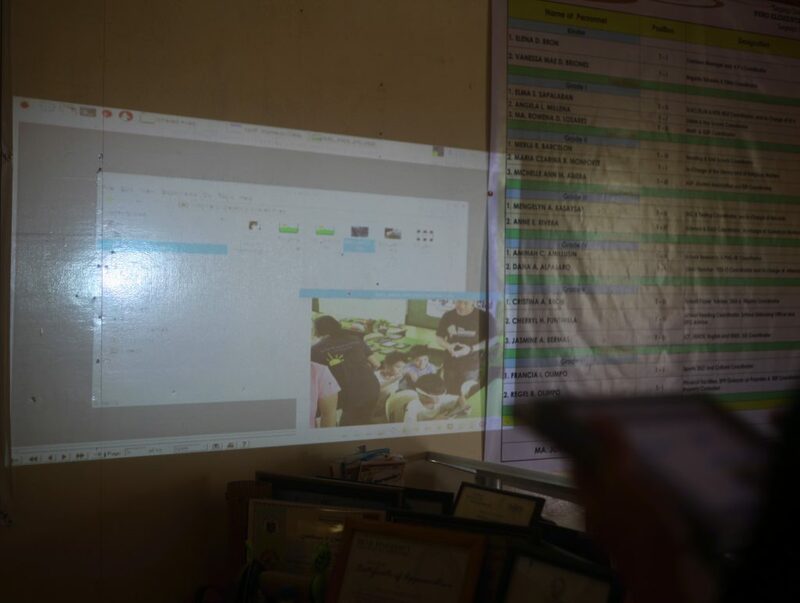 We see many possibilities how this can be used – who say classes have to be held during the day now that we have a projector that works best in a low light setting? Imagine holding night classes for the communities that could teach them new life skills! With this, we hope that it will open up more innovative ways for them to teach and create more opportunities for the communities to learn. We are also exploring more ways to develop this platform so that it can work in areas without internet connectivity. If you have any ideas, drop us a note!